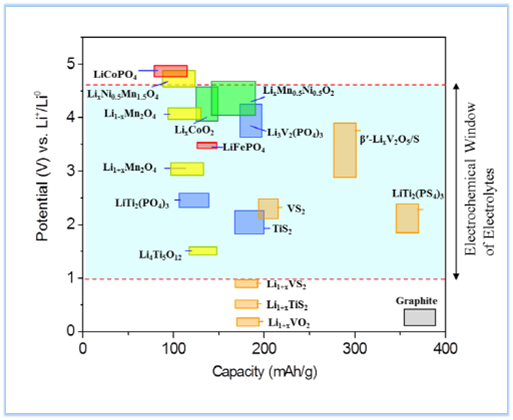 LTAP is a lithium ion conducting glass ceramic that was developed to serve as a true solid state electrolyte or separator in next generation lithium batteries and other electrochemical devices. NASICON is one of the Na-ion conducting ceramics and has high ionic conductivity at room temperature. Also, Na-ion based systems are spotlighted as energy storage system (ESS). With property of stable in the non-aqueous and aqueous environment, NASICON is expected that it will be able to apply post lithium ion battery systems like as hybrid systems or flow systems. 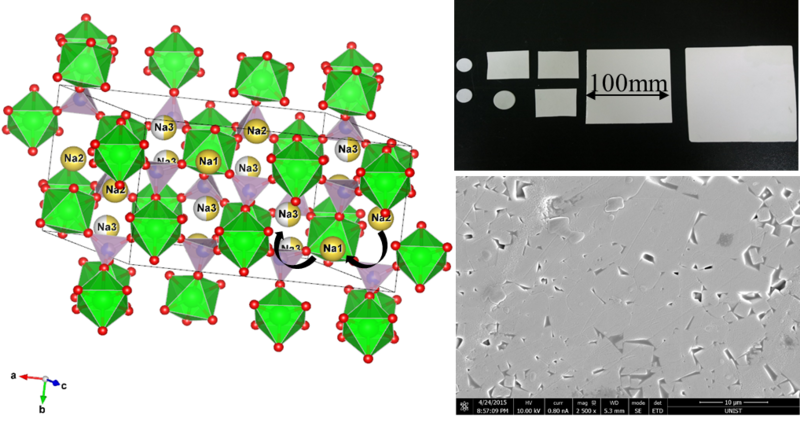 Solid-state electrolytes such as lithium ion conducting ceramic or solid polymers have been studied as substitutes for liquid electrolytes, but critical problems exist at the interfacial resistance between the solid electrode and the solid electrolyte. 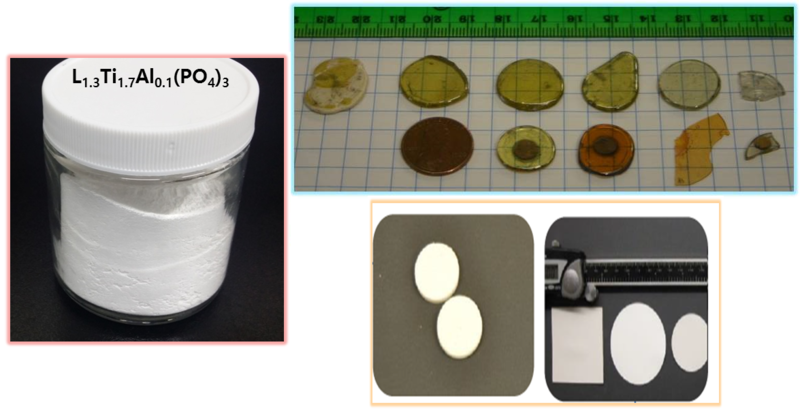 In this study, we combined more than 80 wt% lithium ion conducting ceramic with less than 10 wt% Polymer as a binder, and less than 10 wt% conventional liquid electrolyte to reduce interface resistances for developing a new composite electrolyte. Important is an increase in the density of the stored energy, which is the product of the voltage and capacity of reversible Li insertion/extraction into/from the electrodes. 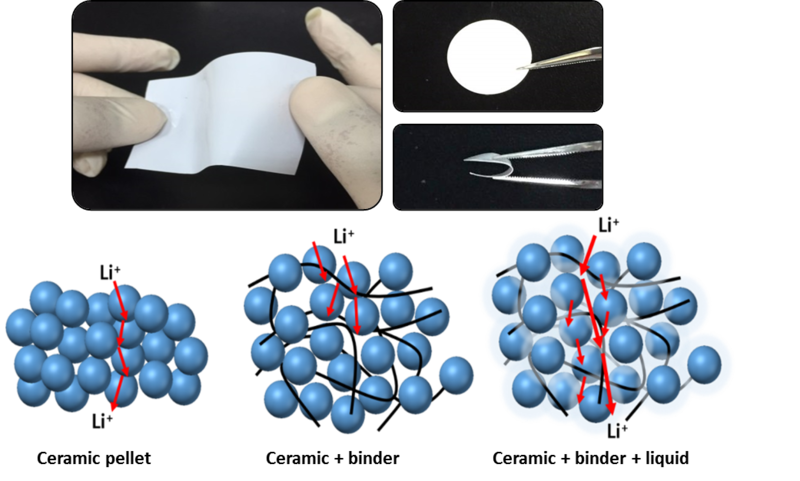 The design of a cathode composed of environmentally benign, low-cost materials that has its electrochemical potential well-matched to the HOMO of the electrolyte and allows access to two Li atoms per transition-metal cationwould increase the energy density, but it is a daunting challenge.